This year's celebration will be on Thursday, December 7th, 2017. RBC Convention Centre, Carlton Concourse, 3rd Floor. Please RSVP by following this link! The winner of our Human Rights Contest for Grades 1 to 6 will light a special candle. Students submitted pictures, paragraphs, and poems telling us why they believe human rights are important in Manitoba. 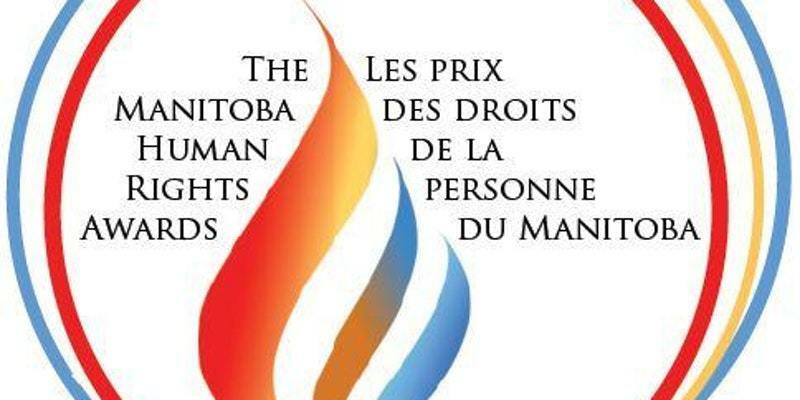 The Human Rights Commitment Award honours any individual or group who has worked to promote human rights and fundamental freedoms in Manitoba, annually recognizing the significant work of people throughout Manitoba to advance human rights. The winner of the Human Rights Commitment Award will receive a unique piece of art by created by Marcela Salazar, a Winnipeg artist. The Sybil Shack Human Rights Youth Award recognizes the work of a person or group of people, 25 years old and under, that has had an impact on the advancement of human rights. This award is presented in memory of Sybil Shack, member of the Order of Canada, and a renowned educator, author, former President of MARL and the Canadian Civil Liberties Association. The Reconciliation Award will be given out this year for the second time only to recognize a significant contribution to reconciliation between Indigenous and non-Indigenous people in Manitoba. The inaugural Aaron Berg Award will be given to an individual involved in the legal profession who has contributed to the advancement of human rights. The award is presented in honour of the late Aaron Berg, distinguished community member and lawyer, advancing human rights and administrative law in the province of Manitoba. Everyone is encouraged to attend the award reception in honour of this year’s recipients. Award recipients will be announced on Monday, November 27th.